With three of the four nations in Group B of the OFC U-16 Championship having had experience of a youth FIFA World Cup in recent years and all of them keen to make a return, it’s a tough pool to predict. 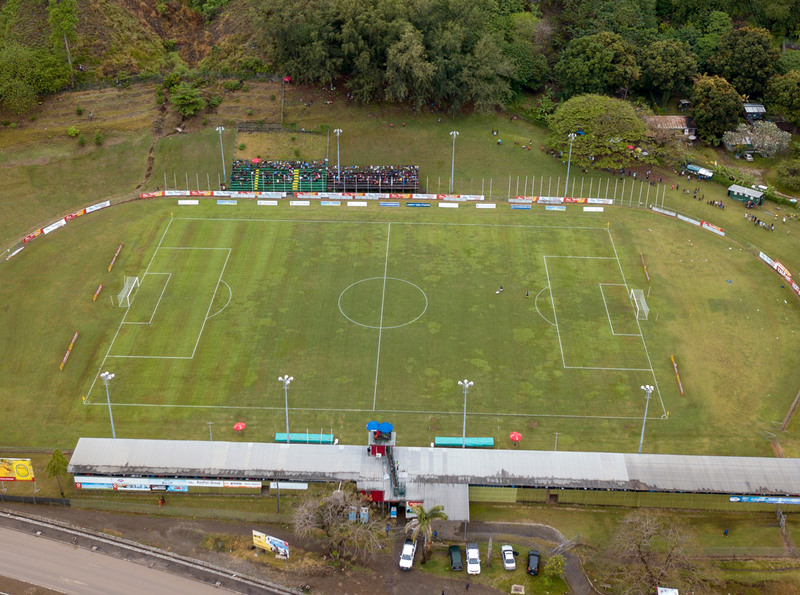 Of the four, New Caledonia’s experience is most fresh having qualified from last year’s U-17 Championship to the 2017 FIFA U-17 World Cup in India and set a new bar for the nation in the process. Their opening opponents Tahiti have just seen their U-19 squad qualify for the FIFA U-20 World Cup just over a month ago, while Fiji were at the 2015 edition held in New Zealand. The only side yet to get that global level of experience is OFC U-16 Championship Qualifier winners Samoa, who have set themselves the objective of qualifying for the semi-finals at a minimum here in Honiara. Samoa breezed through qualifying in Tonga with three wins from three to claim their place in the final tournament and they’re ready to make the step up first and foremost, against Fiji in Monday’s opening encounter. Coach Martin Tamasese hasn’t let the squad rest on their laurels, maintaining their training programme and taking the team to Wellington, New Zealand as part of their preparations. “When we came back after the qualifier we continued with our trainings as well as some friendly games,” Tamasese said. While they have set their goal for the tournament, Tamasese knows it will be a big ask of his charges against three tough opponents. “Looking at the pool that we’re in it’s not an easy one for us but I believe we can perform well and will also be able to compete with these three teams,” he said. “We’re looking forward to our first game against Fiji, then will prepare for the second and the third games. I know the playing style of Fiji, and what their approach usually is. For Fiji the preparations have been thorough, but having been in this position before with both national teams and clubs, Fiji coach Yogendra Dutt knows there will be no easy path to the semi-finals. “We have prepared for this tournament and for the first game. We know two spots are available and we have prepared well to get one of them,” he said. Dutt could be forgiven for potentially taking the qualifier winners Samoa a little lighter than the group’s other two teams however there is no doubt in the Fijian’s mind that the opener will be one of the toughest. “I think it will be one of the hardest games that we will play,” he said. The day’s second encounter is a big one between Oceania’s two Francophone nations which will no doubt provide plenty of entertainment in what both sides consider a ‘must win’. Both the 2017 OFC U-17 Championship runners-up New Caledonia and the French Polynesians possess a strong desire to exit the group at the top of the standings and know this match in particular will be crucial to them achieving that objective. After the impressive exploits of 2017 in which New Caledonia qualified and attended their first FIFA World Cup tournament, there is a reasonable amount of pressure on Leon Waitronyie to deliver a similar result. As assistant coach to Michel Clarque and then Dominique Wacalie, Waitronyie has insight into what is required at this level of competition and believes the preparations the team has followed will assist them in achieving their objective. “I think if you compare this team with the U-17s of last year, they did not have the preparations this side has,” he said. “We went to Malaysia and that can only have helped,” he explained of the three friendly matches the team played. Looking more specifically at their opening match, Waitronyie knows taking on Tahiti will be tough. “It’s unfortunate that we find ourselves in the same group again like with last year’s U-17s. “We exited the group then and were able to play right through to the end, so why not again with this team? For opponents Tahiti not only is it a first time for the players, but for coach Hermann Aurentz and his entire staff too. “It’s a new adventure for us all,” Aurentz explained. With Tahiti having just come out of the nation’s main school holidays, Aurentz has been spoilt for time with his squad. Knowing the first match will be against their “cousins” New Caledonia, Aurentz is weary, but excited. “There’s a rivalry on the field, but off it I would say it is more of a friendship. We have a lot of contact with New Caledonians who play in Tahiti, there’s even one in my club, so there’s a link between our two nations. “But on the field it’s a matter of ‘may the best team win’, we’ll both be doing our best to finish at the top of our group.